Is your computer troubling you ? Does your computer have power issues? Are you searching for computer service in Mumbai? Looking for verified and reliable computer repair technicians is not an easy task. Shortlisting technicians and having to explain your problem to every technician you contact before they agree is a tedious process. To avoid this hassle and stress of searching, just login to Housejoy.in and find a reliable technician in no time. Housejoy offers a wide variety of repair services in Mumbai. You will have a verified technician who can get the job done quickly and easily. Are you facing issues with your PC? Do you need a PC repair technician immediately? Do you have power or display issues with your PC? Look no further when Housejoy is here. At Housejoy you can find trusted, verified and certified repair technicians. 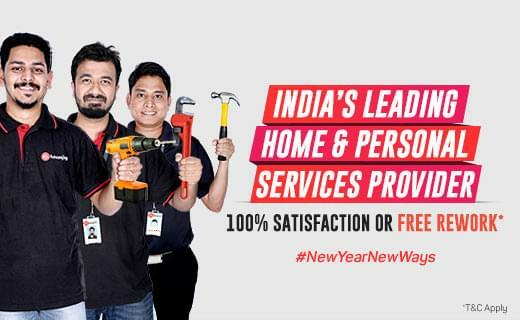 All you have to do is log on to Housejoy.in, fill in your details and make an online booking for computer repairs according to your time and convenience. And your service is booked, as simple as that! Are you looking for trusted PC repair technicians in Mumbai? Does your PC have more issues than your daily newspaper? Are you looking up ‘computer repair near me’ on the internet? Whatever your PC problem may be, Housejoy can help. The service provider offers a wide variety of computer services in Mumbai. This website helps you avoid the stress and hassle of hunting for a trusted technician and lets you relax at home while their experts come to your doorstep to pick your computer and have it inspected at the partner service station. Are you looking for reliable laptop repair technicians? Is the battery dying way before it should? Tired of searching ‘laptop repair near me’ on the internet? A laptop is the same as a computer when the battery doesn’t work; a laptop serves no advantage over a computer with an ailing battery. So before your laptop completely turns into a computer, log on to Housejoy.in and book laptop services in Mumbai! They have a team of experts who will be at your doorstep as per your booking to and have your laptop picked up right away! Is your laptop overheating? Overheating can be the result to many problems and can steal the performance of your laptop. Stop looking up ‘laptop repair shop near me’ and have it fixed immediately by the experts at Housejoy.in. You can find reliable and certified laptop repair technicians on their website or app. All you have to do is go on to the website or download the app to book laptop repair services in Mumbai. Their experts will be at your doorstep, ready to pick your laptop and other electronics if need be. Does your laptop keep crashing? Are you tired of googling ‘laptop service near me’? System crashing can be as annoying when you’re working on an important deadline and none of your work has been saved or while you are watching an interesting scene of your favorite show, you feel like breaking or throwing your laptop away. Before you break your laptop out of rage, go on to Housejoy.in, fill in your details to book a laptop repair service according to your time and convenience. Do you need expert and reliable help with your laptop issues? Quit the search of ‘laptop repair shop near me’ and turn to Housejoy. They have a team of experts who are trained and certified to solve all your laptop problems. With a few clicks you can book a laptop or mac repair service near you or simply have it checked by their qualified professionals. Is your computer getting slow by day? Are you facing software issues with your computer? Is there a problem with data recovery on your computer? Turn to Housejoy and you won't have to look up ‘computer repair near me’ ever again. Housejoy has the solutions for all your computer problems! They have a team of verified and certified repair technicians who’ll be at your doorstep to take your computer to the partner service station. So stop googling ‘computer repair shop near me’ and go on to Housejoy now to make a booking for computer repairs. Is your binge on netflix or prime getting interrupted by your slow laptop? Does your laptop need expert help? Housejoy is the answer to your search for “laptop repair near me”. The service provider offers quality laptop services in Mumbai and has a team of trusted repair technicians who are trained and certified to fix all kinds of problem with your laptop. Is your slow computer driving you crazy and you need a computer repair technician immediately? Whether it’s software or hardware issues, display, data recovery or power issues, Housejoy can help. With Housejoy you can stop the hunt for ‘computer repair shop near me’ Just on to the website or download the app and book a computer service in Mumbai. Is your beloved Mac giving up? Have you been taking care of it faithfully and yet your mac has too many problems? Worry not, when Housejoy is here! They offer mac repair services in homes across Mumbai. You can go on to their website or download their app and within a few clicks you will have your laptop repair service booked in no time.